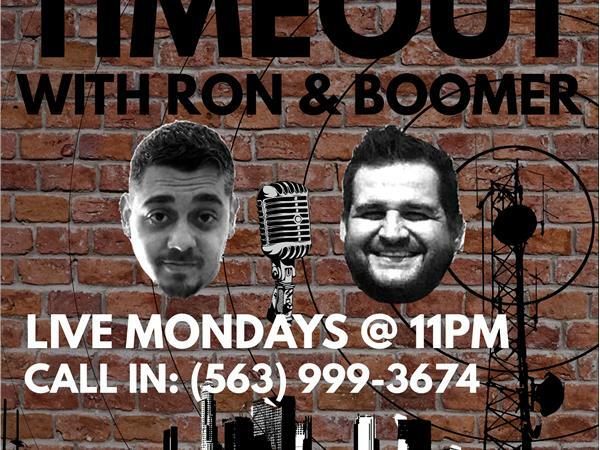 Ron and Boomer are back to bring you the topics of the sports world. With the new format underway and hopefully a new buzzer for the show to not scare the hell out of everyone again. 1st Quarter Knights make it to the Stanley Cup finals despite being a 500-1 dog at the beginning of the year. The first expansion franchise in any sport to do so. Cap's started off 2-0 and haven't won a game since can they bounce back in game 6 tonight? 2nd Quarter Cavs finally get a win in the eastern conference finals, but can they tie it back up 2-2 tonight? Warriors blow out Rockets to take a 2-1 series lead. Almost every game of the conference finals has been blowouts and terrible to watch. 3rd Quarter Preakness ran over the weekend and we have a horse that is in contention for another Triple Crown. Boomer has some news on a crazy story about being at the derby. 4th Quarter Manziel signs with CFL and will touch on other hot topics over the weekend I am sure Ron has some baseball news. Then if listening live go check out the podcast to listen to O.T. where Ron and Boomer hash out topics.